World No Tobacco Day marks the annual awareness campaign launched by the World Health Organization (WHO) in 1987, the aim being to highlight the health risks associated with tobacco use and encourage governments worldwide to implement effective policies to reduce tobacco use. WHO highlight that tobacco use kills more than 7 million people worldwide every year, and this figure will continue to rise unless anti-tobacco actions increase. 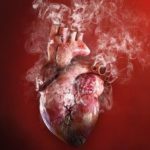 Tobacco use is a major risk factor for cardiovascular disease (CVD), including coronary heart disease, peripheral vascular disease (a narrowing of arteries) and stroke. Cardiovascular diseases are the number 1 cause of deaths globally, taking the lives of 17.7million people each year; and for the first time in 10 years, heart disease is now the leading cause of death in Gibraltar. The impact of tobacco smoke is not confined solely to smokers; non-smokers who are exposed to second-hand smoke at work or at home increase their risk of developing heart disease by 25 – 30%. Collectively, tobacco use and second-hand smoke exposure contribute to around 12% of all heart disease deaths each year. Don’t be put off if you’re trying to quit and you relapse; the key is to learn from what went wrong so you are more likely to succeed next time.